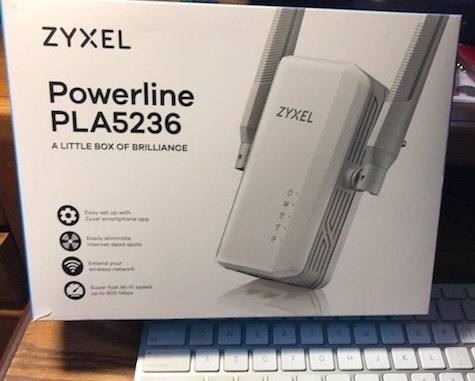 The Zyxel Powerline Adapters in this two-part kit turn ordinary electrical outlets into conduits for delivery of high speed Internet performance. The adapters reviewed ready to use right out of the box. No configuration was necessary. After plugging in the adapters I could see a very noticeable increase in the speed of my connections. The kit consists of two devices. The main unit is the 5236. 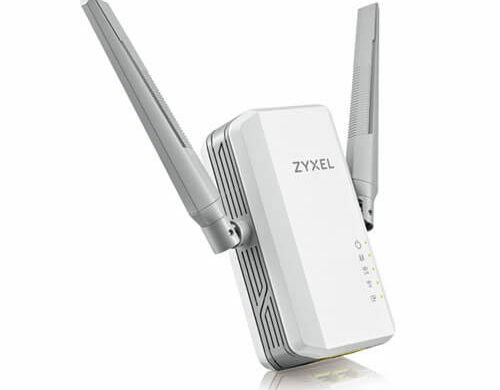 It has two antennas and two Ethernet ports in its base. The second unit, PLA5206 V2, which can be used to extend WI-FI to spaces difficult for your WI-FI signal to reach, looks like the main unit but without the antennas. The adapter comes with an Ethernet cable. Plug one end into a router and the other end into the unit with the antennas, then plug that into a wall outlet. Don’t use a power strip or you won’t see any significant increase in your performance. Plug the second unit into an outlet in another room. You’re done. 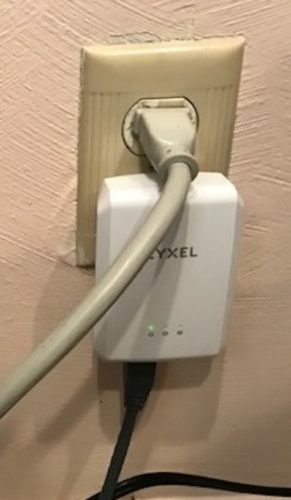 I connected the main unit to my router and the remote unit to an outlet in my wife’s sewing room, where she uses a MacBook Pro. Technically it isn’t necessary to use an Ethernet cable for the remote unit. I tried it using Wi-Fi. 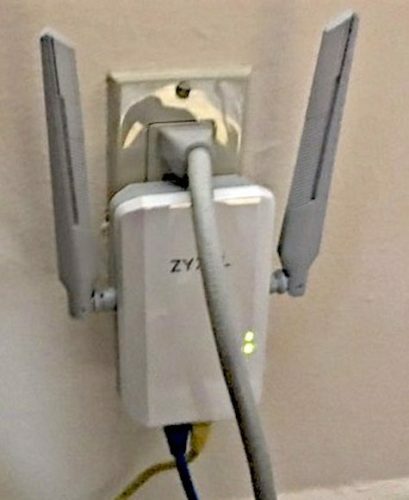 Most of the time the signal was good and performance was greatly improved, but at times it was erratic, possibly because of an adobe wall that separates that room from the router. However, once I ran an Ethernet cable between the laptop and the second unit in the sewing room outlet, the signal became stable and strong. 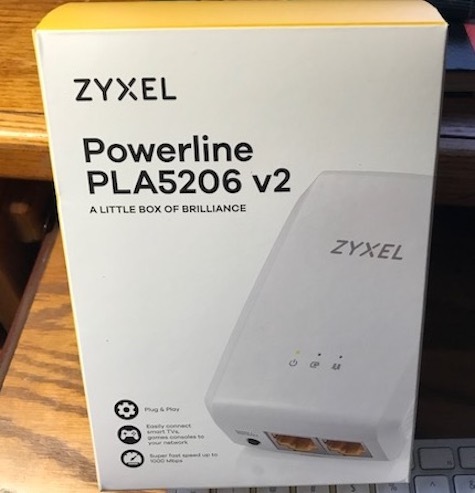 Although Zyxel says you can configure the Powerline adapter by downloading the company’s Easy Setup app from the App store, that step is not essential. If you use the app, you’ll find there’s not much you can tweak that makes the adapters perform any better than they do by simply plugging them into the outlets. In my case, the adapters automatically detected my Local Area Network (LAN) and started working as advertised. The app does include a feature to measure download and upload speeds. The company says its adapters allow for network speeds of up to 1000Mbps, but you’ll probably never see that. You will more likely see the maximum speed provided by your Internet Service Provider. The adapters basically turn the wiring in your house into an antenna that moves your Internet signal around the house more efficiently. After installation, I noticed web pages snapping into place much faster. Slow video downloads were accelerated and there were no longer annoying interruptions. The 5236 measures 4.92” x 1.57”x 2.91”. One user reported on Amazon that the unit was so large that after plugging it in there was no room to plug in another device that uses a 3-pronged plug. I didn’t encounter that problem. Both the plug for a heavy duty power strip and the big 5236 fit perfectly.